What should we do with this rusting old tractor? …Let’s turn it into a piece of art! 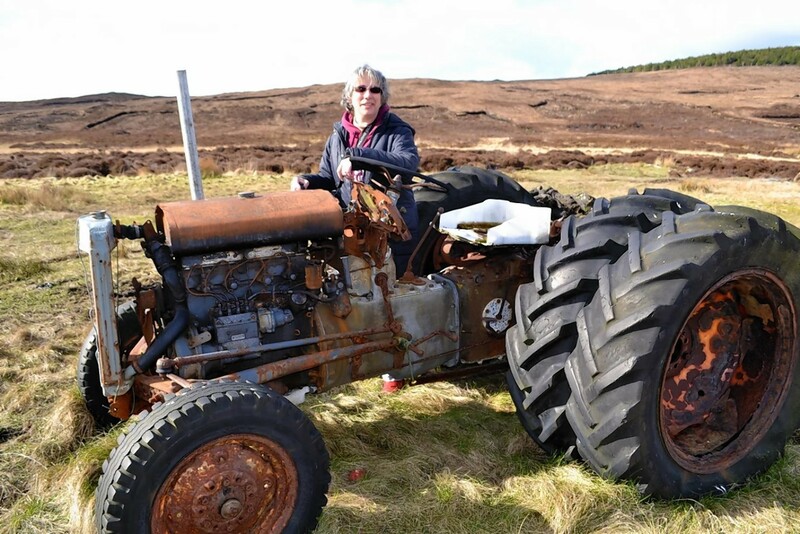 A rusting old tractor on an Outer Hebridean island has been given a modern makeover. Arts impresario and member of the Royal Scottish Academy Richard Demarco said that “it’s worthy of a Turner Prize” – though he admitted it was not necessarily a compliment. Residents on the isle are now being asked if they want to adopt it as an official sculpture. For the past seven years the wreck of the TEF 20 Massey Ferguson has has been left to rot beside the Committee Road on the island. 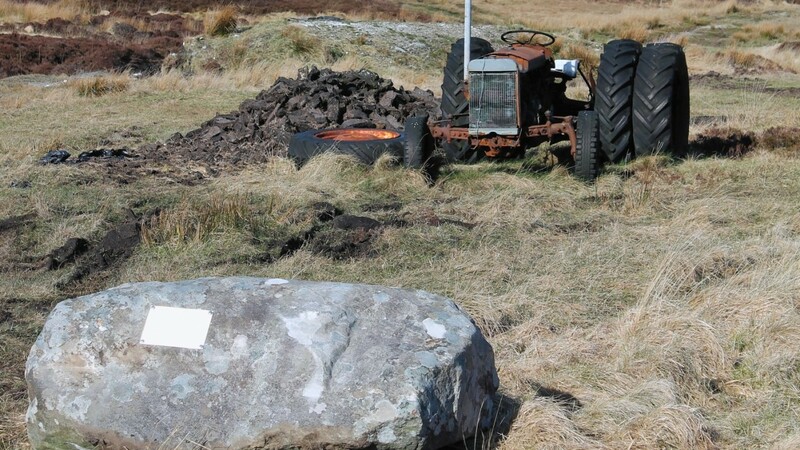 But when artist Liz Crichton,46, came across the eyesore, she saw a natural work of art and so the 60-year-old tractor became part of the island’s art trail when she mounted stone plaque in front of it, changing people’s perceptions on the farming machine. 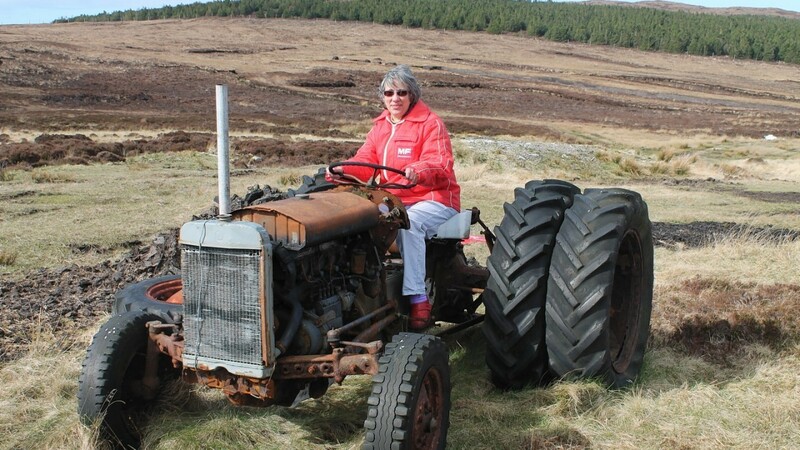 The University of the Highlands and Islands second year fine art student – who is studying on Uist – made t-shirts and greeting cards of the tractor to raise funds for the £100 plaque. The TEF-20 was manufactured from 1946 until 1956, and was commonly known as the Little Grey Fergie. 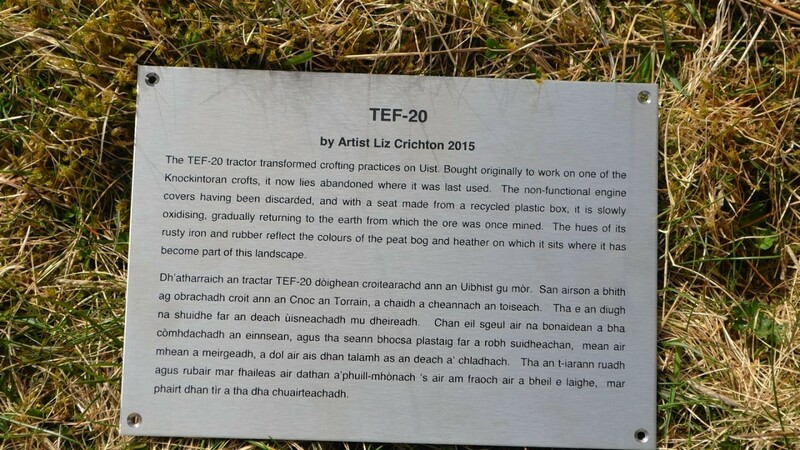 It reads:”The TEF-20 tractor transformed crofting practices on Uist. “Bought originally to work on one of the Knockintoran crofts, it now lies abandoned where it was last used. “The non-functional engine covers having been discarded, and with a seat made from a recycled plastic box, it is slowly oxidising, gradually returning to the earth from which the ore was once mined. “He tried to sell it to me, but I don’t want to own the tractor,” she said. “This tractor is a monument to its inventor and to crofting on Uist and a sculpture about the culture of the islanders and their relationship with man-made and the environment. “By changing its context I started to think what’s the difference between a rusty wreck and a work of art – and the answer was a plaque. “The plaque illustrates the futility of man made objects in such settings. I am hoping that the plaque will outlive the tractor. Liz added that she was entitled to claim to be the work’s artist because the plaque had transformed the tractor’s context from wreck to sculpture. “It is set in a natural landscape – I would not want to alter it by setting it on a plinth or something. I think its complete from my point of view. I am interested in the reaction of the local community. My involvement in it is finished. It is partly about ‘what is art?’ and how the public perceive art,” she said. “It is up to the local community if they want to adopt it – give it a parking space or fence etc. The tractor will not last forever – it reflects the frailty of life and the futility of man’s efforts to make things compared to nature which will go on for the whole of the life of the universe. Man made objects come and go. 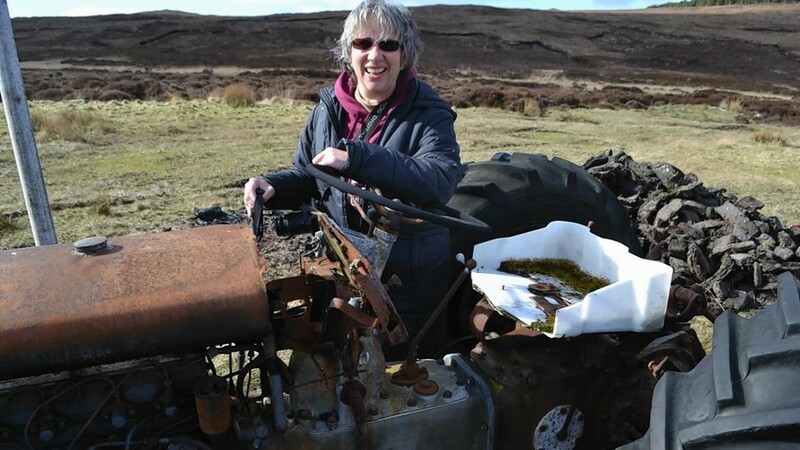 “Usually I am in favour of clearing old wrecks from the landscape but this may be one exception,” said Cllr Robertson, a member of North Uist Historical Society. Arts impresario Mr Demarco said: ‘It’s worthy of a Turner Prize, depending on if you believe in the Turner Prize – and I don’t think much of it, I can tell you. ‘But I do love the plaque, that’s very important. It’s what’s known as an objet trouve. ‘If the normal rules apply, that anything is art, then this is a legitimate found object.